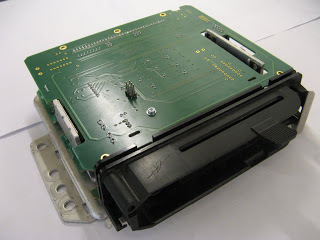 AugTronic – The Porsche 924/944 Plug and Play ECU Upgrade! At Augment Automotive we are big fans of the Porsche 944, but like many others we felt that the performance of the standard engines left a little to be desired. Historically the 944 has not had many tuning options mainly down to the original injection system which is difficult to modify. So we created AugTronic to solve this problem. It is a plug and play ECU upgrade that gives the benefits of a modern engine management system without the associated difficulties and cost of installation and setup. The restrictive and often worn out air flow meter is removed and replaced with modern injection system components. The performance, response and economy of standard engines can be improved significantly and the path for further modifications is opened! We can support all the 8V models including the 944 Turbo also providing an easy route for 16V engine swaps. AugTronic opens up a route to tuning your standard or modified engine to its optimum. Explore camshaft upgrades, head work, forced induction and more on your Porsche 944 with AugTronic safely and effectively controlling fuelling and ignition to achieve optimum performance and economy. Tested and proven for normally aspirated and forced induction engines on the road, track, dynamometer and the infamous Nurburgring! Tell us what you want! We can probably do it for a fair price. To achieve all this we have reverse engineered and re-designed the microprocessor board within the Bosch Motronic ML3.1 control unit. Retaining a refurbished factory power board gives us a reliable interface to the factory wiring loom. Replacing the microprocesor board allows us to place a high speed and feature rich modern microcontroller at the heart of the system. The replacement of the original processor lets us achieve things not possible with other available products and provides a solution with far better integration into the vehicle. This creates a product that integrates with minimal modifications to the factory wiring loom yet provides the features and performance of a modern engine management system. Although not currently supported due to differences in ECU design we are looking to support the 944 S, 944 S2 and 968 with drop in upgrades. If you would be interested in an implementation of AugTronic for any of these vehicles please get in touch. In the mean time if you would like to fit a 16V engine to an 8v car you can do so and we can support you as long as you keep the bell housing, crank sensors and loom of your 8v car! This actually makes it easier to fit a 16v engine as you don’t need to swap half as many components! With AugTronic in your Porsche 944, Porsche 944 turbo or Porsche 924s you can achieve your performance goals, improve engine efficiency, easily diagnose faults, replace ageing components and get up and running in no time at all! 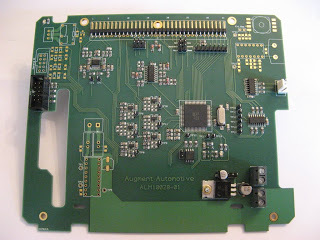 We can install an AugTronic system into a car in less than 30 mins. We provide safe or tune based maps with all our systems, unless you have a highly modified vehicle this will get close to peak performance from your engine. For customers with modified engines we recommend the engine is tuned by a professional. Our tuning software should be accessible to any operator familiar with main stream aftermarket tuning software. This product requires a factory ECU to be upgraded with our new control board. We can perform an upgrade on receipt of your ECU or send you an upgraded unit on an exchange basis. All our products are designed and manufactured in the UK. AugTronic is available for purchase via our online store.